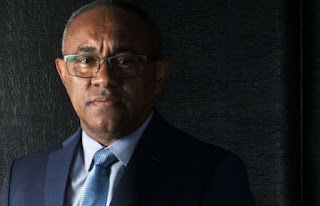 The new president of the Confederation of African Football (CAF), Ahmad Ahmad, has said “African football cannot be managed by bandits”. The Madagascar football chief, ended Issa Hayatou’s 29-year reign on Thursday, picking up 34 votes against the Cameroonian’s 20. “I’m not a candidate who will serve his personal interests,” Ahmad said in a statement before the voting at a congress in Ethiopia. In an earlier interview with the BBC, Ahmad stated that Hayatou has done all he could for CAF.